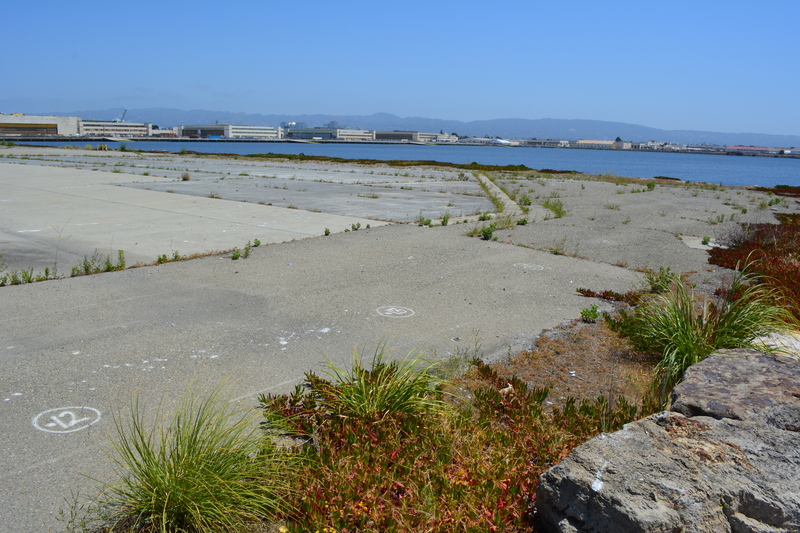 The city’s west side of the Seaplane Lagoon at Alameda Point is mostly pavement – acres of it – with a few old buildings abutting a wetland on the federal property. The city claims its long-range plan for this area features a conversion to a wetland habitat, but their only commitment is to continue leasing the buildings to generate revenue while allowing a sea of unnecessary pavement to remain as an environmental blight. Seaplane Lagoon west side, looking south. Seaplane Lagoon on left, Alameda Point Channel and SF Bay in background. Temporary fence to be removed by end of 2014. 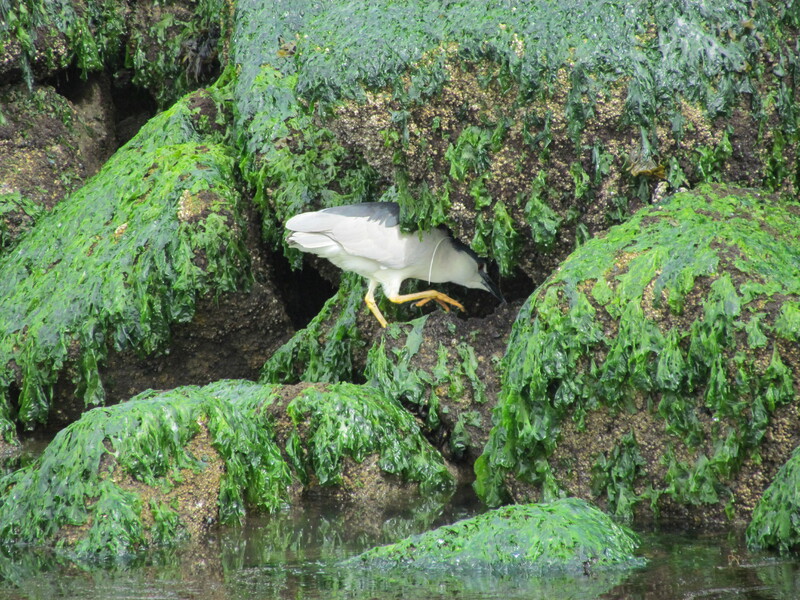 Opportunities for implementing ecosystem enhancement, both short and long term, have yet to be explored for this area. 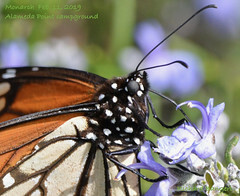 We need to start moving in a direction now that benefits the environment by reducing climate impacts, improves the atmosphere around nearby businesses, adds to public enjoyment, and increases wildlife habitat. Short-term plan – Remove all pavement not required for commercial tenants. 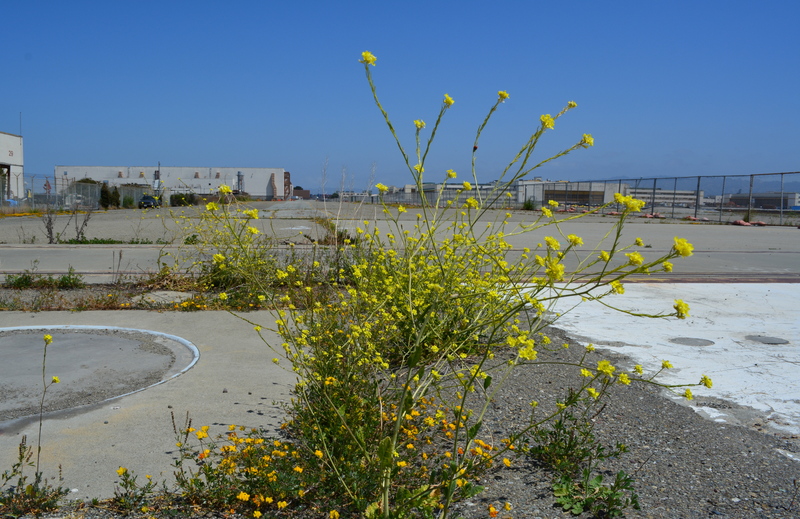 Recycle the pavement at the VA’s Alameda Point project site where they will be raising elevation and need base rock and fill. Once the pavement is removed and the soil exposed, native vegetation could be planted. Native vegetation will absorb CO2, produce oxygen, eliminate the heat island effect of the former pavement, add wildlife habitat, improve the aesthetic appearance of the property, and make it attractive as a hiking, jogging, and cycling destination. 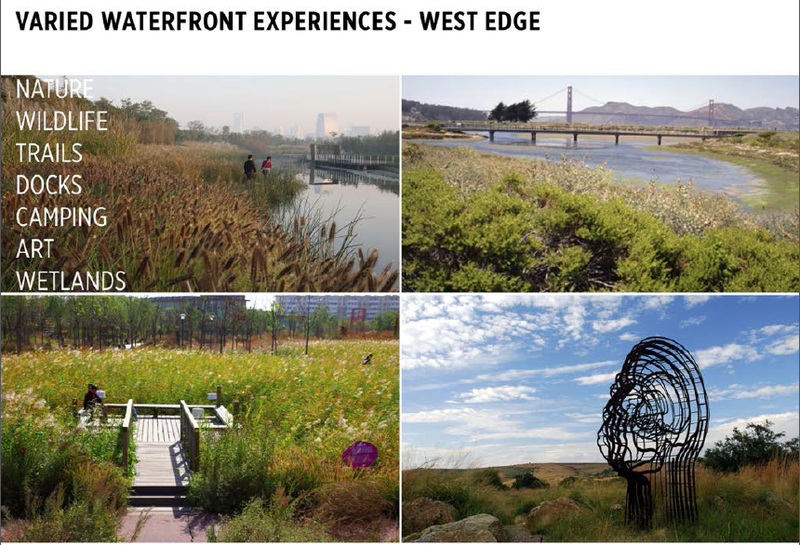 Step 1 – Set aside money from lease revenue generated on the west side of the Seaplane Lagoon for pavement removal and introduction of native plant vegetation. Step 2 – Explore recycling pavement at Alameda Point. Step 3 – Explore grant sources for conversion of paved areas to native vegetation, i.e., state air quality board, EPA, State Lands Commission, etc. West side of Seaplane Lagoon, looking north. Seaplane Lagoon on right. Buildings 29 and 25 on left. Most of this area could be covered with native grasses with no negative effects on commercial leasing. 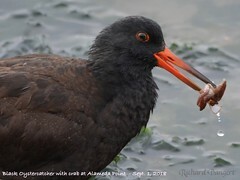 Long-term plan – Establish an Alameda Point Wetland Mitigation Bank, which would incorporate the west Seaplane Lagoon acreage along with 50 acres on the northwest side of Alameda Point (Northwest Territories). 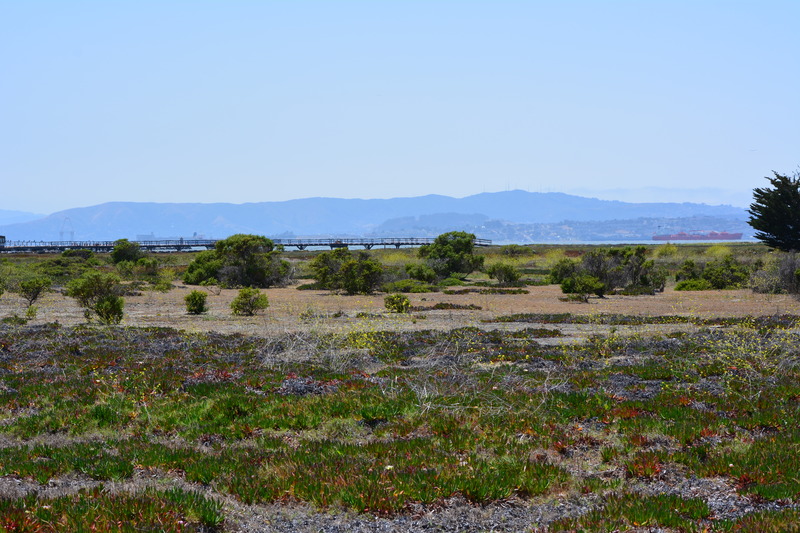 Investment money would provide the capital for wetland creation, with money being recouped when mitigation credits are sold to developers elsewhere in the Bay watershed to offset their project’s impacts. As a general rule, a tidal wetland is worth at least as much as it would cost to create it. That’s why businesses exist that specialize in mitigation banks. In theory at least, the wetland project could be self-funding. Step 1 – Commission a study on wetland mitigation bank formation using lease revenue from Buildings 25 and 29. West side of Seaplane Lagoon looking south, with channel and Breakwater Island in background. West side of Seaplane Lagoon, looking northeast from shoreline riprap, with lagoon and hangars in background. Pavement here will serve no commercial purpose under current low-impact guidelines. 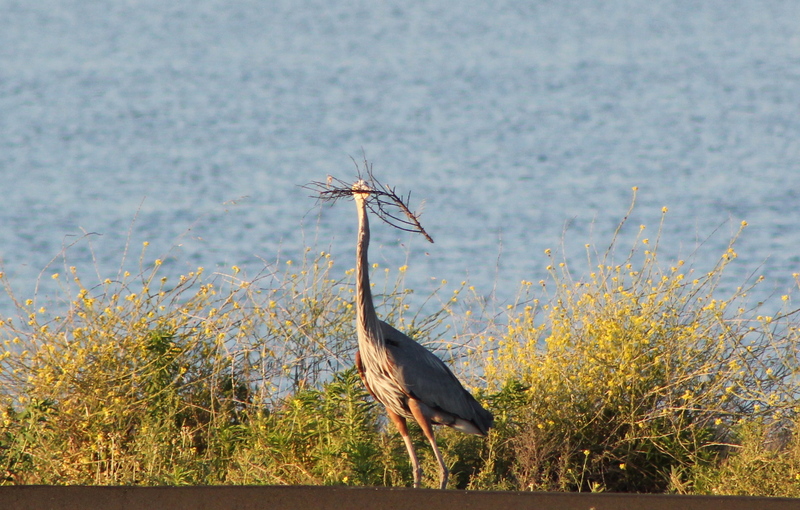 Great Blue Heron gathering nesting material on western edge of Seaplane Lagoon for nearby nest. 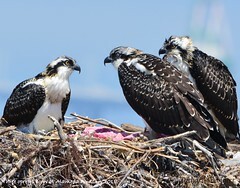 Increased vegetation will bring more birds along shoreline. 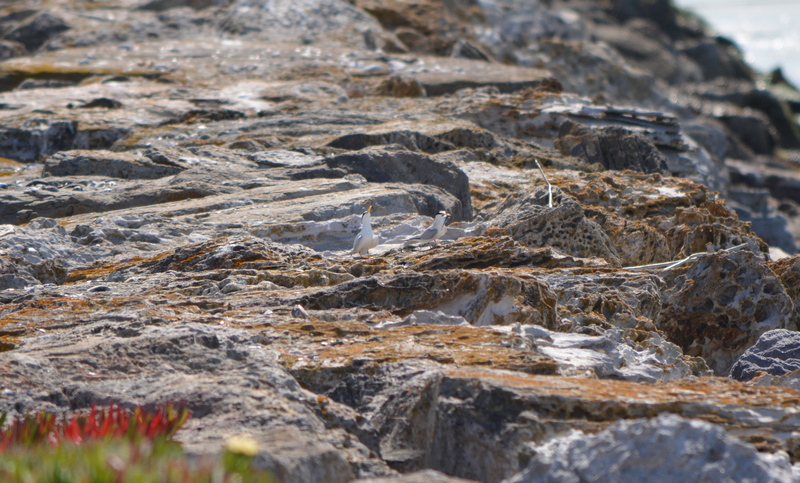 CA Least Terns (center of photo) engaged in courtship ritual of exchanging a fish on jetty adjacent to west side of Seaplane Lagoon – May 2014. 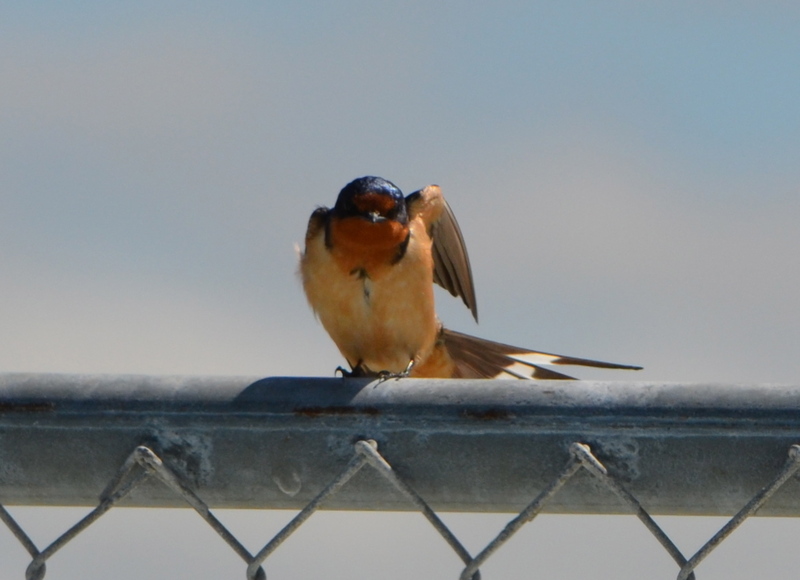 Barn Swallow on fence on west side of Seaplane Lagoon. 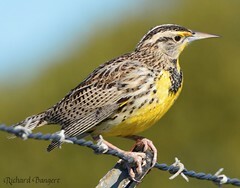 Common to the area, often seen flying low over the water looking for flying insects, nesting almost exclusively on man-made structures, possibly Building 29. Breakwater Island viewed from shoreline on west side of Seaplane Lagoon. 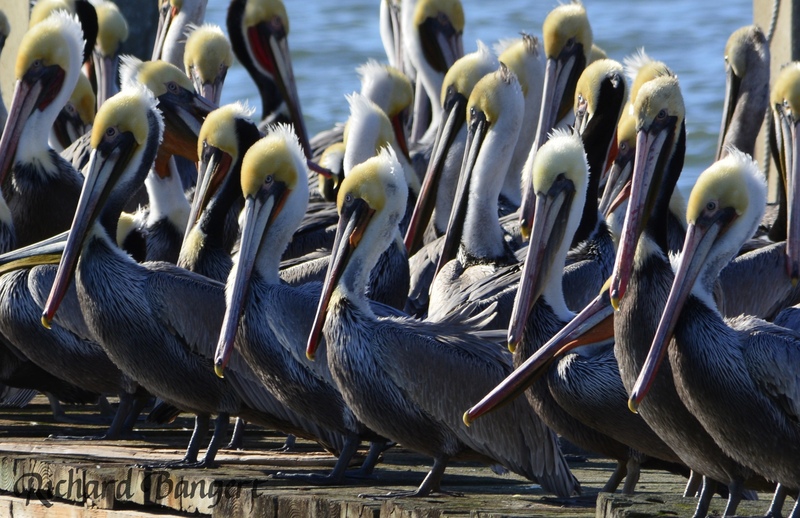 Breakwater Island is a roosting site for CA Brown Pelicans and other birds. 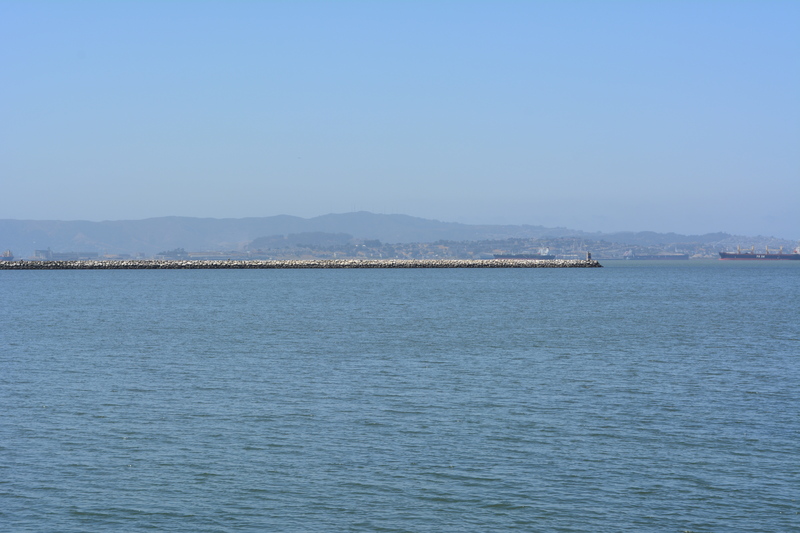 Island owned by city of Alameda. 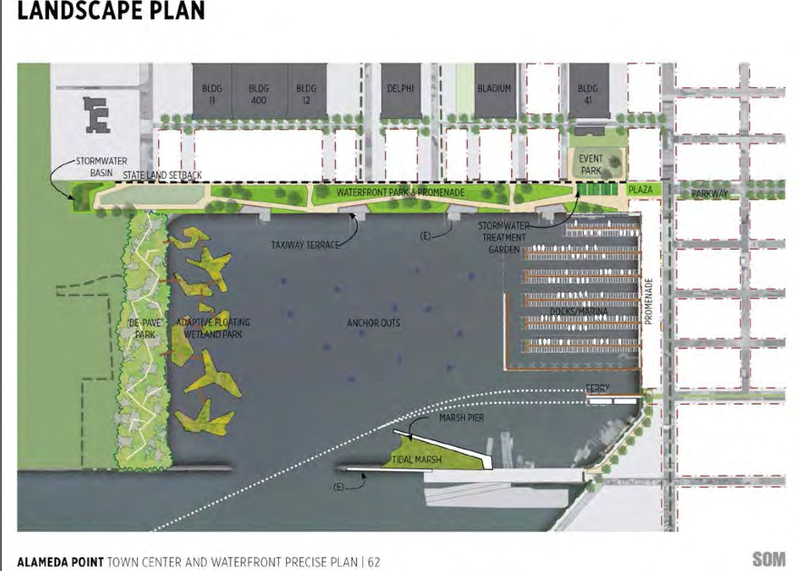 Landscape plan from 2013 showing no buildings on west (left) side of Seaplane Lagoon. Buildings are now being recommended to stay. Floating wetlands are a very long-range option if funding is available. 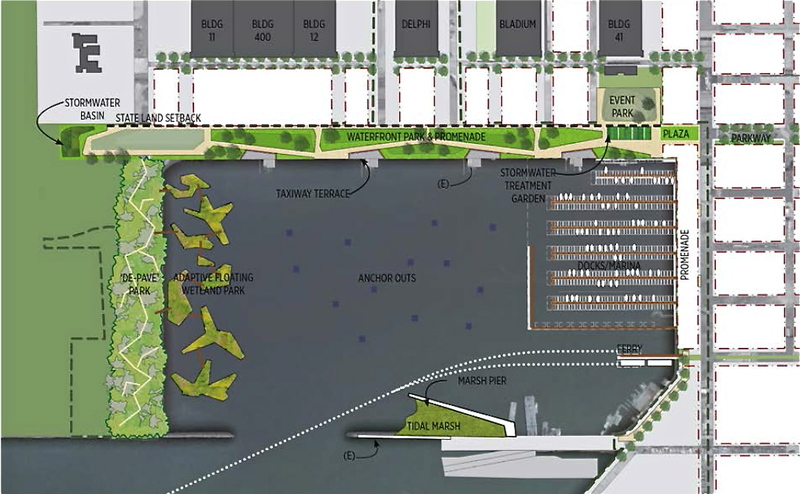 2014 plans for west side of Seaplane Lagoon show buildings in dashed lines. Active leasing of buildings currently underway suggests buildings should be in solid lines and wetland in gray. Looking west from west side of Seaplane Lagoon. Bay/Channel on left. Building 29 on right. City property extends beyond fence to far edge of Building 29 property line. Runway Wetland area on federal property adjacent to Buildings 25 and 29 on city property at west side of Seaplane Lagoon. A naturalized west shoreline of Seaplane Lagoon, with public access, would enhance the greater wildlife habitat in this area. Take the plunge! Remove pavement on the west side of the Seaplane Lagoon and improve our environment. 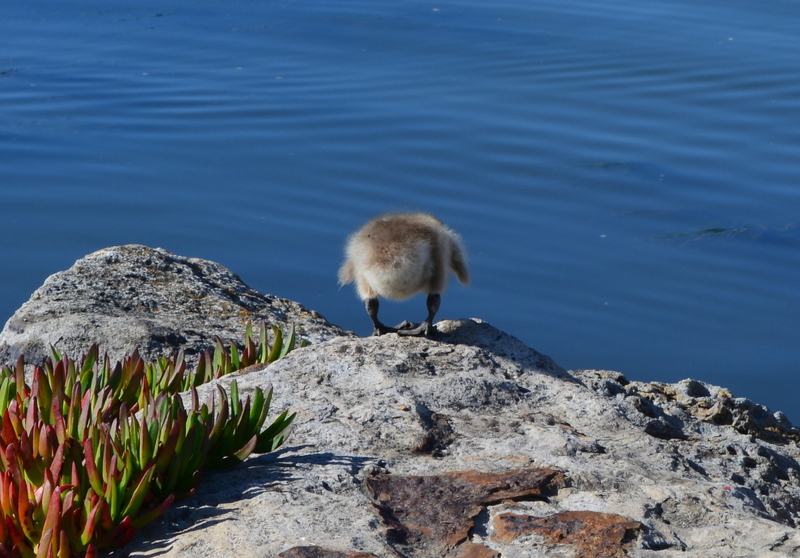 Gosling ready to plunge onto rocks below, on west side of Seaplane Lagoon, to get to parents in the Alameda Point Channel. It was successful. 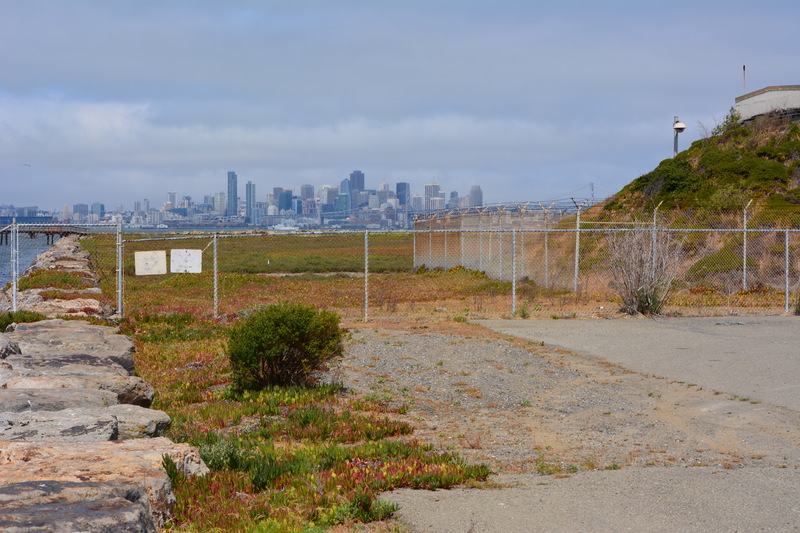 Returning part of the Seaplane Lagoon shoreline to nature is one of the biggest changes that have emerged in the planning process at Alameda Point. 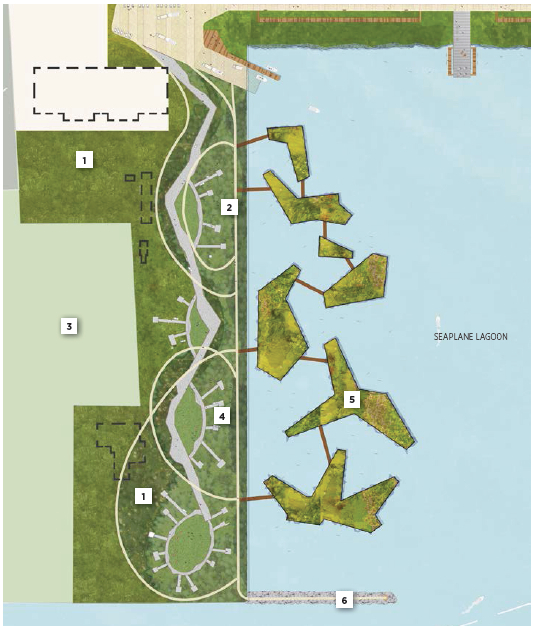 The design proposal for the western side of the Seaplane Lagoon echoes the major theme of the Greenspace Project of Golden Gate University’s Center on Urban Environmental Law – the interconnected ecosystem. From Town Center and Waterfront Precise Plan presentation to Planning Board. The draft Town Center and Waterfront Precise Plan for the Seaplane Lagoon and eastern entrance area, presented to the Planning Board on August 21, offers a number of new concepts, including moving the proposed marina from the west side of the lagoon to the east side. The waterfront plan is being refined concurrently with zoning changes, an environmental impact report, and a master infrastructure plan, which are all aimed at providing the level of detail necessary for the city to start marketing property to investors in 2014. 1. Natural environment—along the western edge of the Seaplane Lagoon with trails, docks, camping, outdoor sculpture and wetlands. 2. Promenade and recreational opportunities—along the northern edge, with early phased soccer fields, food concessions, bike and pedestrian paths, open lawn, and kayak access. 3. Urban edge—along the eastern side and portions of northern edge with marinas, docks, eating patios, overlooks, and ferry service. Climate adaptation grant funding needed – As currently envisioned, however, the de-paving, removal of buildings, and alteration of the western Seaplane Lagoon shoreline area is put off into the distant Phase 3 future — a decade or more from now — when presumably a surplus of infrastructure funds will allow for implementation. 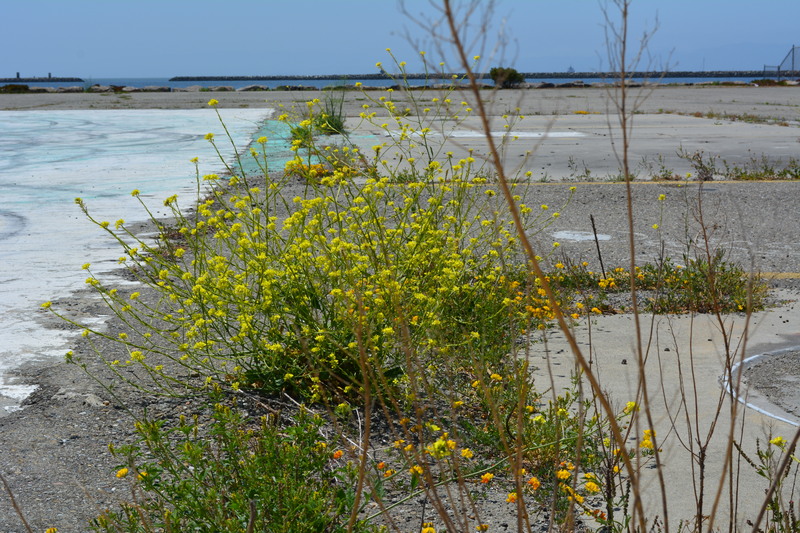 One option available for timelier implementation would be to begin now seeking grant funding from agencies that focus on shoreline climate change adaptation. There will be no commercial development on the western side of the lagoon, and therefore the project would become a public asset. 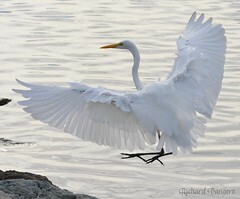 Lying directly to the west on the Nature Reserve is the Runway Wetland, whose habitat value would be greatly enhanced by a connection to the Seaplane Lagoon. Additionally, the draft Master Infrastructure Plan predicts a $10 million savings if the area were allowed to become tidal wetland as sea level rises. 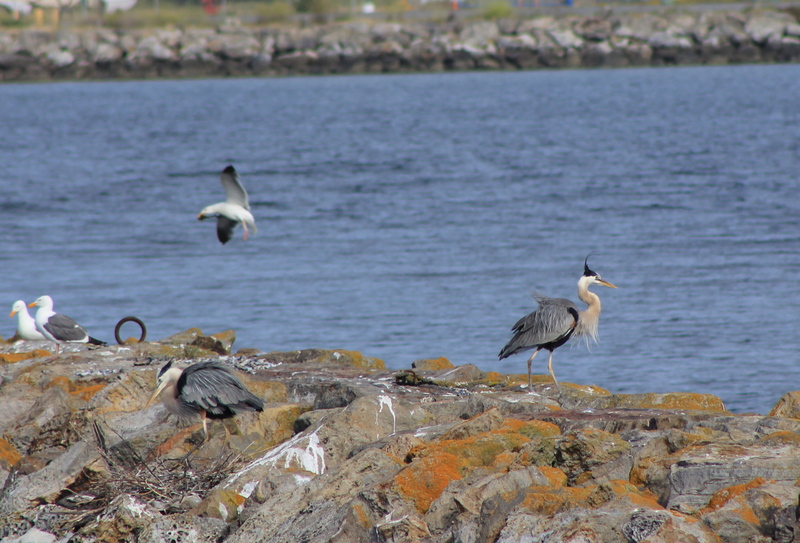 Great Blue Herons with nest (left) and gulls on eastern jetty of Seaplane Lagoon. 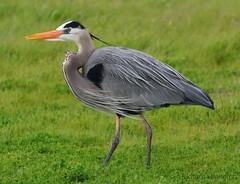 Heron is directly above proposed tidal marsh featured on map above. West shore of Seaplane Lagoon in background. 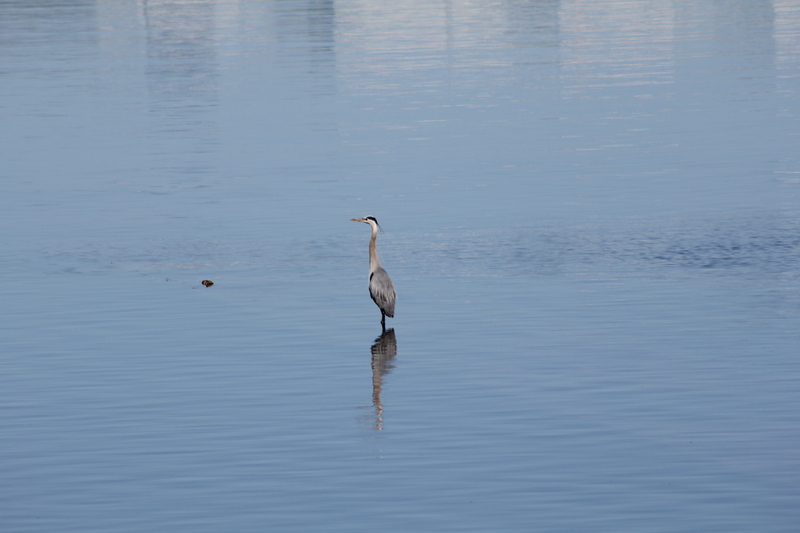 Great Blue Heron standing in shallow Seaplane Lagoon area where tidal marsh is proposed. 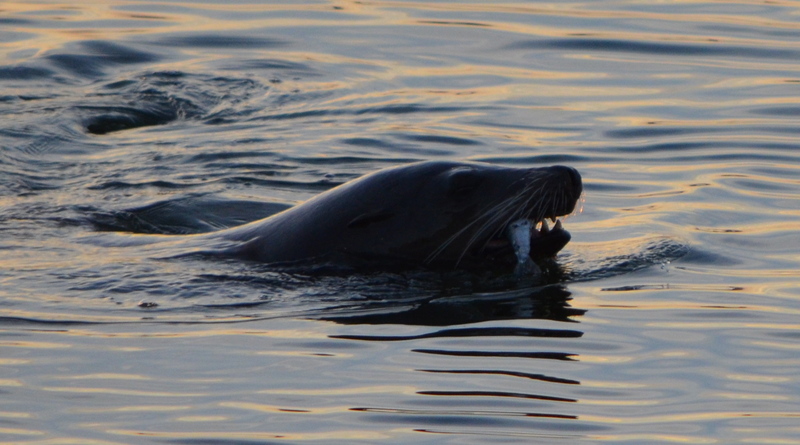 Sea Lion catching fish in Seaplane Lagoon. Floating haul out platforms would increase their presence. 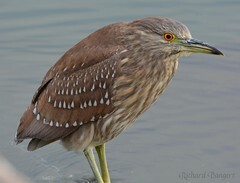 Black-crowned Night Heron poking around for food on eastern jetty of Seaplane Lagoon. 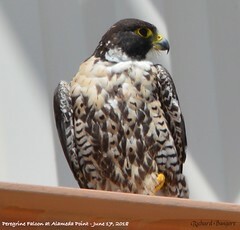 One of the regular but seldom seen wildlife visitors. 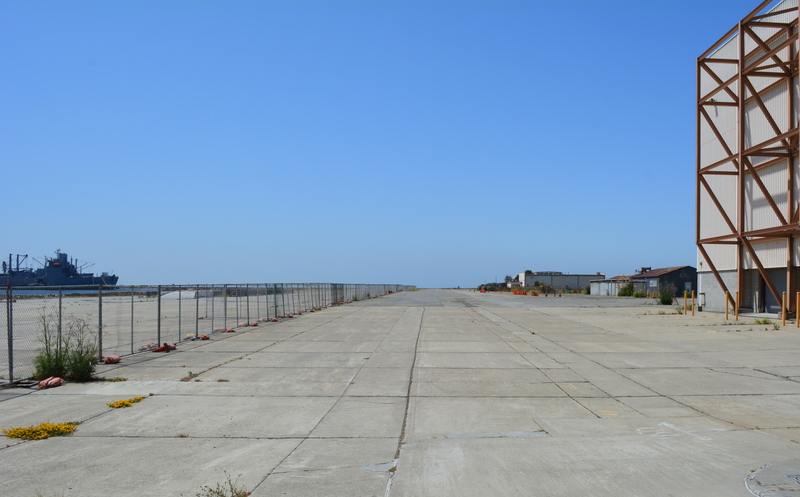 Alameda Point Channel in foreground that connects San Francisco Bay to the Seaplane Lagoon. Unless otherwise noted, all photos are copyright Richard Bangert. Permission requests appreciated before reproducing. See “About” page for contact info.